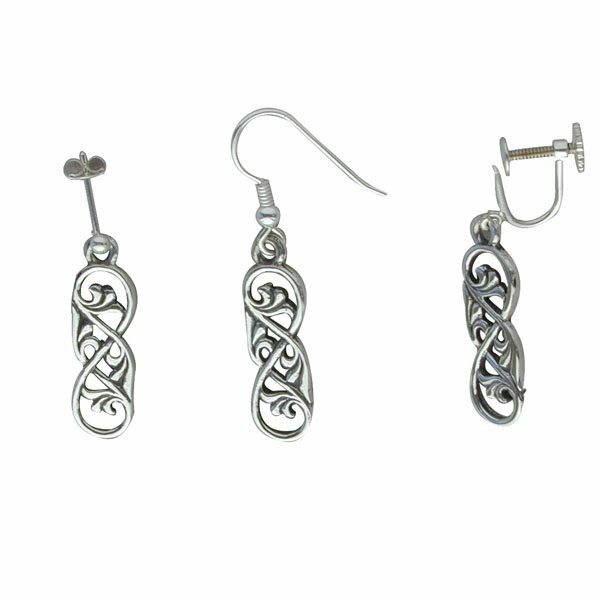 Silver Tree of life design earrings. Handcrafted Scottish jewellery. Supplied in a wooden presentation box. Hallmarked sterling silver. A beautifully textured and detailed celtic symbols.